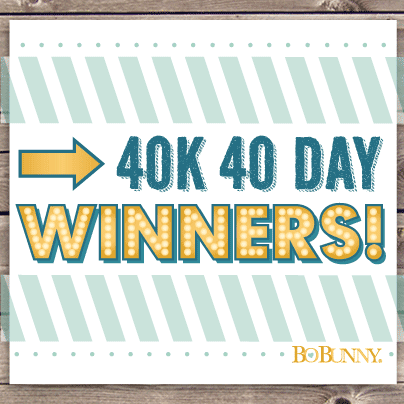 We will start announcing the winners of our 40k 40 day challenge every Saturday. This week we only have one winner to announce because the day 2 giveaway is still accepting entries! So please put your hands together for our Day 1 winner Virginia Ogg!! Congratulations Virginia! We will be in contact with you shortly to receive your mailing information! We are going to be giving away prizes for 38 more days! Entries will be accepted starting on Monday! These mini albums are perfect! I love them alot! I chose to use this one for old pictures of my two sons. I started off by decorating the front page. The album is so colorful! I tried to pick out the most colorful pictures of my sons. I made some of the embellishments myself using a couple of different circle punches and a star punch. I wrote my journaling on the computer and printed it out and then I cut them in stripes. I think it's a great way to preserve random pictures putting them in a mini album! I was so excited to work with the "Our Little Monster" mini album! Our youngest son always seems to make really fun and silly faces whenever the camera comes out, so this was the perfect album to capture them in. There are quite a number of collage photos throughout the album and the Noteworthy elements helped pull everything together. You can see the entire album on my blog. Congrats to Virginia. That mini album is seriously cool and fun. Especially like the big blue monster and the one with loads of eyes. Oh my goodness these little mini albums are just beyond cute! Love this line for little boys! 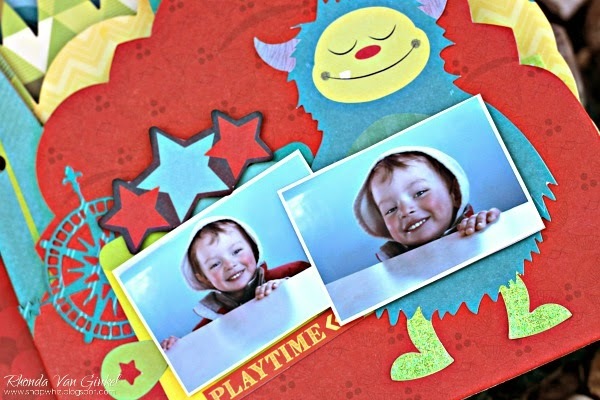 VERY COOL and TOTALLY AWESOME albums Ulrika and Rhonda - LOVE the page shapes, FUN colours, papers, stickers and crafty delights!!! Bo Bunny makes the BEST mini albums! These are so cute! Wow, such an amazing mini album with this very cute collection! Thanks everyone. I am a card maker, I've never done a mini album, it will be fun to give it a try! I love this album, it is fun! and I love this papers. Awesome albums! Love them...the line is monstrously cool! Congrats Virginia! Those albums are sooo cute. I always love the Bo Bunny lines. congrats to the winners, this collection rocks!!!!!! Love the colors. Love the mini albums! 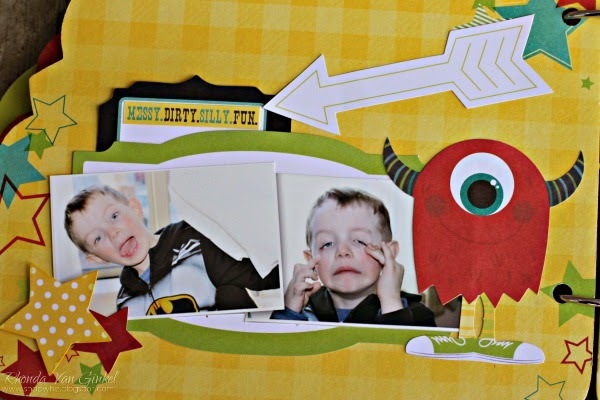 This is one of my favorite themes - perfect for my little monster! I <3 the new Enchanted Garden theme too. I love the colors in this pack. If I had to pick a favorite product out of the Enchanted Garden line, probably the paper but I love the layered chip too. This monster mini book is fabulous. 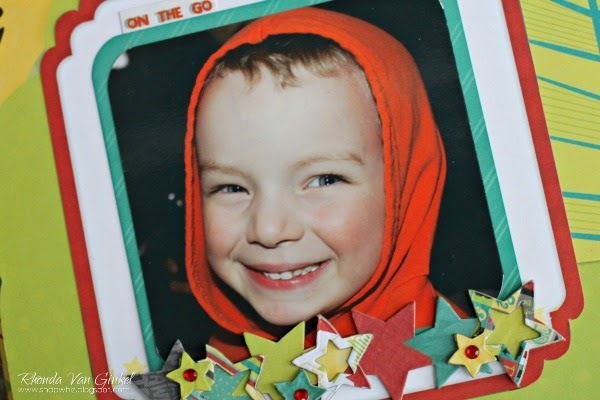 What a great idea with the glow in the dark gesso!! 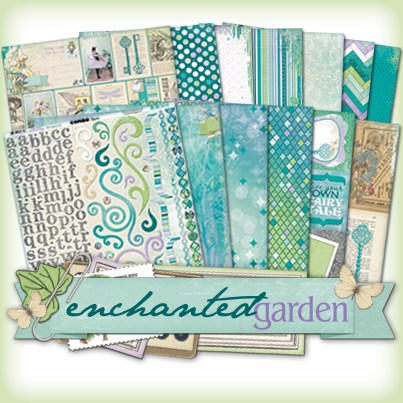 I really like the Enchanted Garden papers, and would love to win. I am a paper girl, and these are super. I love the patterned papers, jewels and brads!